He’s familiar as an award-winning music producer and singer-songwriter but what is known about Pharrell Williams’ early life? If the answer is “not much”, that could soon change as Williams’ youth is to inspire a big-screen musical, according to The Hollywood Reporter. Williams, 43, will produce Atlantis – described as Romeo and Juliet with songs. Broadway director Michael Mayer will act as the project’s guiding hand. Mayer is best known for productions such Spring Awakening, for which he won a Tony award, as well as American Idiot, based on the music of Green Day. Atlantis’ writer will be Martin Hynes, who is currently working on the fourth Toy Story film. But when finished with fictional animated childhoods, Hynes will turn his focus to Williams’ real one, which saw him growing up in Virginia Beach, Virginia as the eldest of three sons. His father, Pharaoh, worked as a handyman and his mother Carolyn was a teacher. The young Williams was first involved in music via the school band. At 12, he was sent to a school for gifted children where he met Chad Hugo and formed the Neptunes, releasing his first single at 19. He has gone on to win 10 Grammys, has had hits including the Oscar-nominated Happy, featured in the animated film Despicable Me 2, and released solo albums In My Mind and Girl. He’s also collaborated with artists including Jay-Z, Daft Punk, Miley Cyrus, Justin Timberlake and Robin Thicke. Recently Williams has been venturing into movies, most notably as a producer on Hidden Figures. 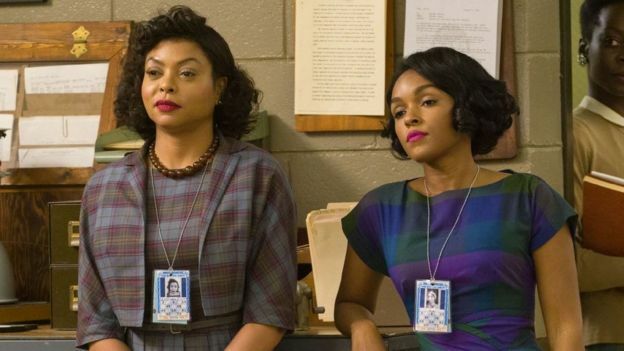 The film was nominated for three Oscars and told the story of the African-American women who played a pivotal role in the Nasa space programme. Willliams also produced the film Roxanne Roxanne. And with the renewed La La Land and Beauty and the Beast-inspired interest in screen musicals, Atlantis could be riding on a wave to further success. Pharrell Williams’ life being made into musical 0 out of 5 based on 0 ratings. 0 user reviews.